Grand Theft Auto V for PC and Wii U "Up For Consideration"
Dan Houser says the Xbox 360 and PlayStation 3 have "plenty of power" and offer Rockstar a much larger potential audience for the next GTA. The general consensus seems to be that it's time for the current generation of consoles to make way for the next. Rockstar co-founder Dan Houser doesn't sound quite so convinced, however. Echoing comments he made to Famitsu last week, he said there's still "plenty of power" left in the old boys and that they afford Rockstar the opportunity reach the widest audience possible. "We don't feel there are that many limitations. We feel we can do some very impressive stuff and do it for a large audience," he told IGN. "There'll be a much larger audience on PS3 than there will be on PS4. At a creative level, which is the most important for us, we could say everything we wanted to say and do everything we wanted to do on these machines." 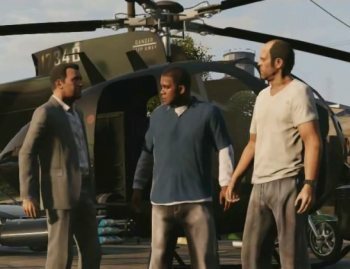 Given the concern with the size of the potential audience, you'd be forgiven for wondering why Grand Theft Auto V has been announced for the 360 and PS3, but not the PC or Wii U. Unfortunately, Houser wasn't terribly forthcoming on that front. "Everything else is up for consideration. That's all I can give you," he said. "The main thing is we are not... we are a third-party publisher. We're not Nintendo, we're not Sony, we're not Microsoft. We love all of them in different ways. But we can do what we want wherever there's the appropriate business opportunity and chance to find a market. If that's on Apple we put something on Apple. Wherever it might be."